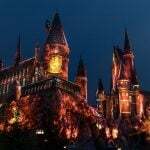 Do you love live theatre and love to travel? 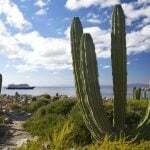 Then you would probably agree that the ideal vacation involves traveling to a destination where there’s an opportunity to take in a play or two (or more). 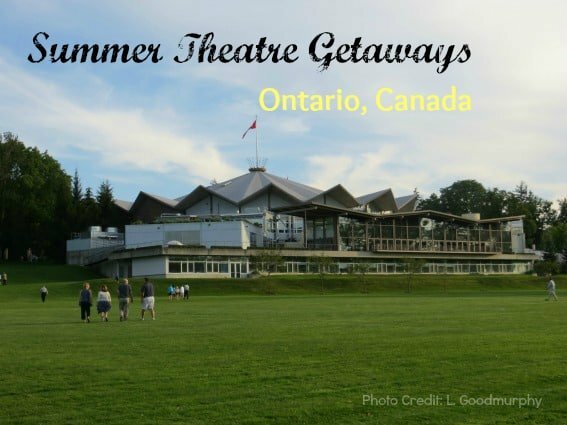 In the Canadian province of Ontario, there are two communities known around the world for their summer theatre getaways – Stratford and Niagara-on-the-Lake. 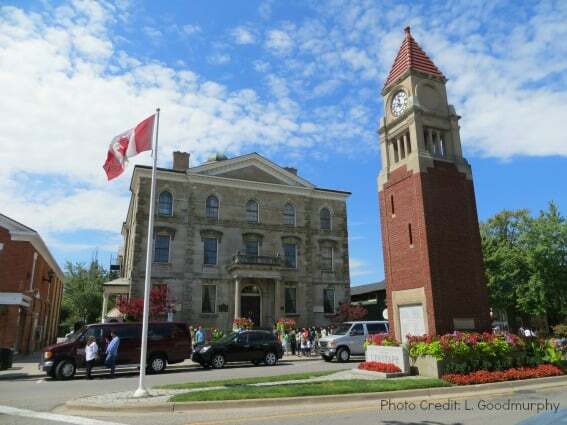 The Stratford Festival alone welcomed nearly 500,000 visitors in 2013! 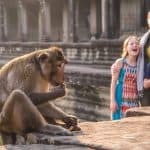 Visiting either of these destinations during festival season is a great experience for families with kids old enough to attend the theatre. The city of Stratford in southwestern Ontario is located on the picturesque banks of the Avon River, approximately a two-hour drive from Toronto. As a major railway hub in the 19th century, Stratford was a prosperous community with grand buildings in the downtown core. Stratford has since transformed into one of North America’s great arts towns. The internationally recognized Stratford Festival, founded in 1953, is an annual celebration of theatre that performs several plays in four permanent venues during a season that runs from April through November. The primary mandate of the festival is to showcase the works of William Shakespeare, however a variety of plays are staged each season, including popular musicals. The Festival Theatre is the largest of the venues and was built to resemble a tent as a tribute to the early festival performances which were held in a canvas tent set up along the Avon River prior to the construction of a permanent venue. The Festival Theatre is known for its thrust stage, designed to resemble the one in Shakespeare’s Globe Theatre, which extends into the audience on three sides creating an intimate performance environment. The Stratford Festival showcases at least a couple of family-friendly shows on the playbill each season and the magic extends beyond these performances. The Stratford Festival is committed to nurturing a love of theatre and, to that end, sponsors a number of activities to encourage families to bring the kids along. Song and dance or acting workshops are held prior to select shows providing participants of all ages the opportunity to work alongside cast members and learn more about what it takes to be a Stratford actor. 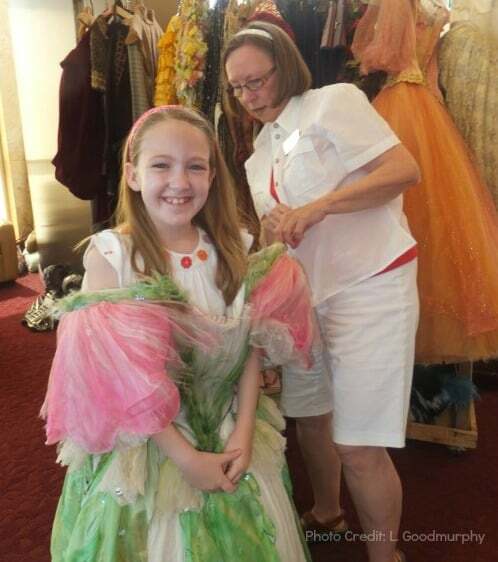 Kids also enjoy tours of the Festival Theatre which provide a glimpse at where the behind the scenes magic happens as well as tours of the Costume and Props Warehouse which involve dressing-up and plenty of photo opportunities. The Festival offers reduced admission for kids to any performance which helps make the theatre experience more affordable for families. In 2014, the Festival also introduced a child-care service on summer weekends in partnership with the Stratford Y. For a small fee, parents can leave children in the capable hands of staff for a fun afternoon that includes lunch and a theatre-based activity. This theatre amenity is perfect for families with younger kids who aren’t ready to attend a show. In addition to theatrical events, Stratford has a number of attractions and activities as well as many fine restaurants and a variety of shops. Foodies who are in town should stop by the Visitor Welcome Centre and purchase a pass that will allow for tasting stops along the self-guided Stratford Chocolate Trail or the Stratford Bacon & Ale Trail. 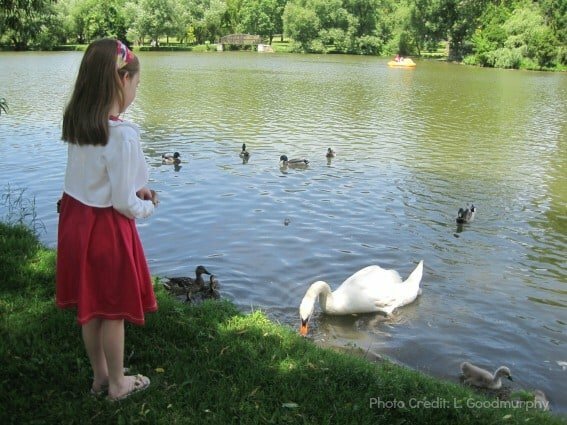 At any time of the day, visitors can be found strolling the path along the banks of the Avon River, purchasing food for the swans and ducks, browsing Art in the Park, or enjoying a pre-theatre picnic lunch. 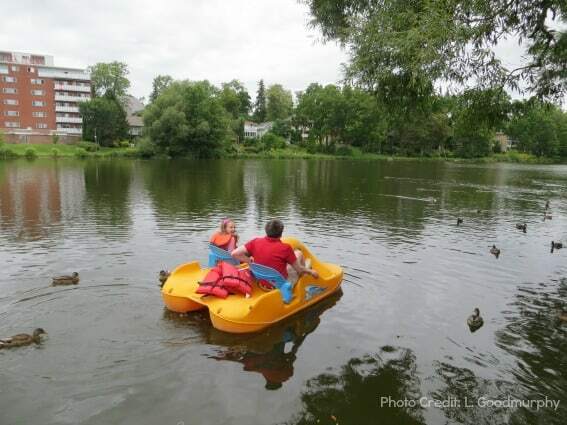 Those in search of more active pursuits may rent a pedal boat, canoe, or kayak and spend some time on the placid water. Stratford is also famed as the birthplace of Justin Bieber and young fans will be pleased to learn that there is a map indicating some of his favorite hangouts in town. Be sure to check out Justin’s star which is located on the sidewalk outside of the Avon Theatre. Visitors staying for more than a day can spend some time exploring the region around the city of Stratford. A favorite destination for travelers is friendly St. Jacobs where the horse and buggies of the local Mennonite community are a common sight. Visitors can shop at the bustling Farmers’ Market on Tuesday, Thursday, and Saturday or browse the studios, galleries, and shops in the village. 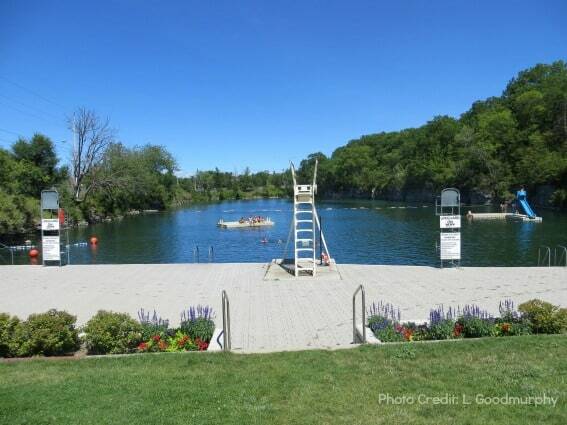 Just a few minutes from Stratford, the town of St. Mary’s offers a limestone quarry swimming hole which is billed as Canada’s largest outdoor swimming pool and the town is home to the Canadian Baseball Hall of Fame and Museum which shares Canada’s baseball heritage. 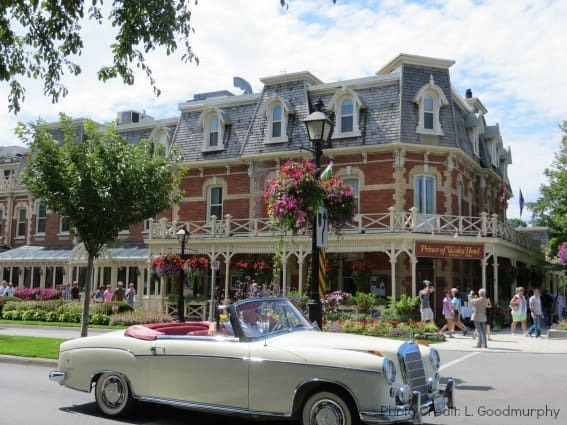 The town of Niagara-on-the-Lake, on the south shore of Lake Ontario is located about an hour’s drive from Toronto, and is often described as the prettiest town in Ontario. This area was settled by Loyalists coming to Upper Canada at the end of the American Revolution and was later burned to the ground by American soldiers during the War of 1812. 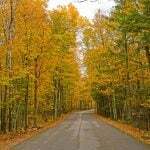 The town was rebuilt after the war and the quaint downtown area has been preserved as a 19th century village which is wildly popular during the summer months with day-trippers as well as visitors staying in one of the town’s many charming inns. Niagara-on-the-Lake showcases the renowned Shaw Festival, an annual summer theatre festival. The festival, launched in 1962 by a Niagara-area lawyer and playwright, is inspired by the works of George Bernard Shaw and features plays from and about his era. The Festival has grown steadily every year since it was founded and now stages 10 to 12 productions a year in four theatres that are all within a short walking distance of each other in downtown Niagara-on-the-Lake. The productions at the Shaw Festival would generally be suitable for older school-aged children and teenagers. The theatre is just one of the attractions in Niagara-on-the Lake that draws crowds during the summer months. Visitors stroll along Queen Street, the town’s picture-postcard main street, where they will find shops, boutiques, galleries, cafés, and restaurants. Horses with buggies also wait outside the Prince of Wales hotels to take passengers on carriage rides around town. Guests who are in town for longer than the day can stay in one of the many elegant hotels or Bed & Breakfast establishments, tour the world-famous Niagara wineries, visit historical sites, play a round of golf, or take a scenic drive along the Niagara parkway to the city of Niagara Falls. 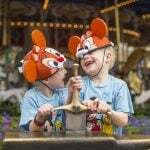 Is Your Family Ready for a Summer Theatre Getaway? 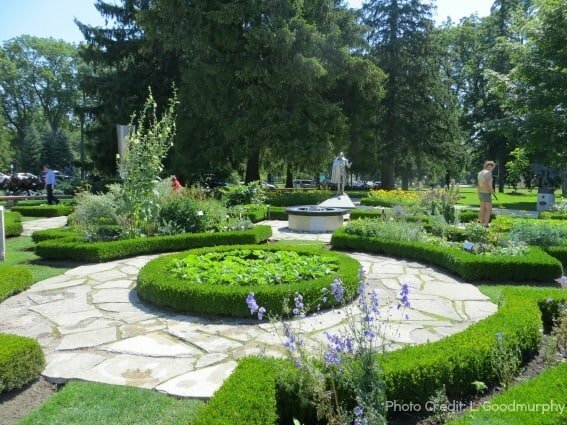 Stratford and Niagara-on-the-Lake are popular day trip and mini-vacation destinations with both Canadians and Americans. The two communities are even accessible for those who don’t wish to drive as the Stratford Festival offers the Stratford Direct Bus from either Toronto or Detroit and there is bus and train service from Toronto to Niagara-on-the-Lake. 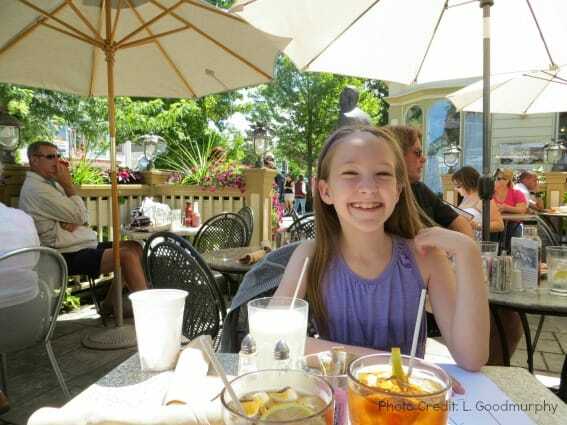 The combination of culture, outdoor activities, and various other attractions available in both Stratford and Niagara-on-the-Lake make them fun getaway destinations where families can foster a love of theatre in the younger generation.